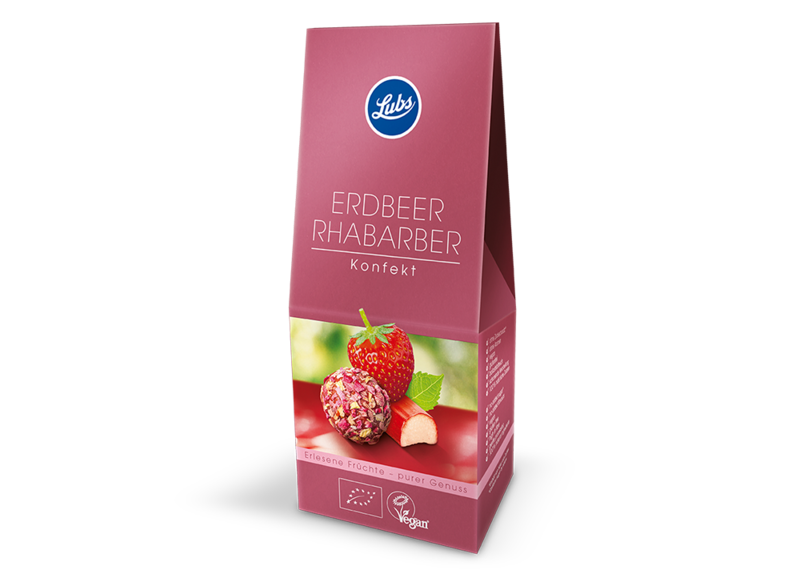 Enjoy a natural treat: just put your feet up and enjoy our fruit confectionery. 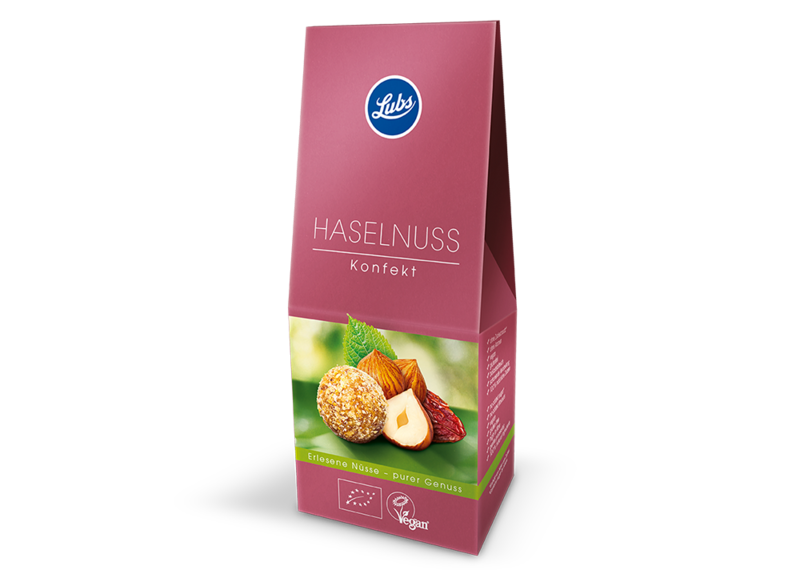 Made of fruit ripened in the sun (hazelnut variety: with gently roasted hazelnuts) containing everything that’s good: a full fruity aroma, healthy vitamins and secondary phytochemicals. Raspberries, blackberries, strawberries and blueberries – all enhanced by dates. Delicious active ingredients from berries enhance the taste perfectly. With real appeal: only the best dates are made into flavoursome confectionery – and covered with a hint of coconut to produce a mouth-watering exotic treat. We only use dates and coconut flakes sourced from Fairtrade projects. A garden paradise: summer strawberries and tart rhubarb with dates and sultanas – wrapped in rhubarb flakes. A delightful treat! 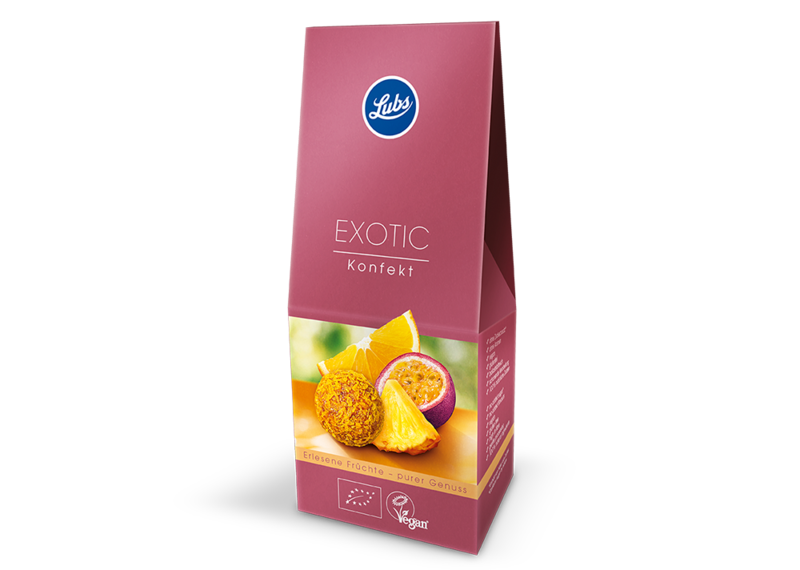 Pure pleasure: aromatic pineapples, sun-ripened oranges and mouth-watering passion fruit cover the spectrum of tropical aromas – and they are all natural! This will make squirrels jealous: even the most demanding gourmet will enjoy the deliciously roasted hazelnuts, mouth-watering dates and sun-ripened sultanas.